Oh, the wonderful worlds we discover when we look at maps! The original infographics, maps help us visualize places, features, activities, distributions, routes, and more. The Common Core English Language Arts Standards (CCSS) consider maps a type of informational text for grades K-5 and the analysis of primary source maps is particularly emphasized in CCSS Reading Anchor Standard 7—Integrate and evaluate content presented in diverse media and formats, including visually and quantitatively, as well as in words—and is specifically mentioned in standard 7 for grades 3 & 6-8. 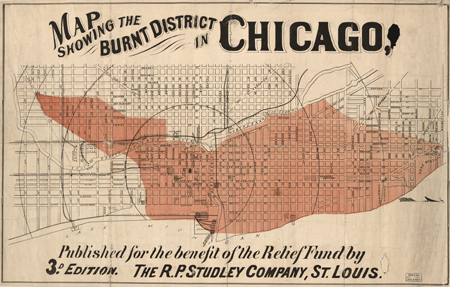 The Library of Congress provides access to thousands of digitized primary source maps. You can print them out, but they are often best viewed online thanks to the wonderful technologies the Library employs that allow us to zoom into maps with incredible detail. To access even more digitized maps, click the following links: online collections of geography and maps (updated digitized map collection), maps in online exhibitions & collaborative digital world library collections, and maps from the World Digital Library. To help students analyze maps, you can have them use the Library’s primary source analysis tool and the list of guiding questions provided below, which were adapted from this list. What type of map is this (climate, economic or resource, military, physical, political, topographic, transportation, etc.)? What details do you see that look unfamiliar, strange, or out of place? Does the map have any special features (e.g., legend, scale, description, notations, compass, etc.)? What information do these features provide? Are there details that suggest the time period this map relates to? Is the creation date listed in the bibliographic record? If the creation date is listed, was this map created at or around the same time period the map relates to? What tools might have been used to create this map? Why do you think this map was made? What might have been the creator’s purpose? What evidence supports your theory? Why do you think the creator chose to include the details shown? What might have been left off the map? What do you think the creator might have wanted the audience to see or think? Does the arrangement or presentation of the details affect how the audience might think? How? Does this map show clear bias? If so, towards what or whom? What evidence supports your conclusion? What was happening during the time period this map represents? If someone made this map today, what would be different/the same? What did you learn from examining this map? Does any new information you learned contradict or support your prior knowledge about the topic of this map? QUESTION: What didn’t you learn that you would like to know about? What questions does this map raise? What do you wonder about . . . Please feel free to download and distribute the Map Analysis Guiding Questions document and the primary source analysis tool (but please keep the formats, including logos, intact).